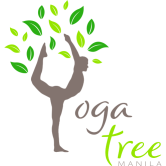 Make yoga practice more affordable this summer! Keep your yoga practice going this summer without breaking the bank. It’s easy to get distracted with BBQ’s, sunshine and beaches but yoga is a great way to keep your mind, body and spirit in shape over the course of summer. Stay calm and collected by continuing your yoga practice throughout the summer moths. Take advantage of our summer membership specials on sale until the end of June 2017. Additional discounts apply for cash and cheque payments. Purchase in studio or online. Membership expires 3 months after activation date and will be terminated 30th September 2017. Promo Package will not be entitled to refunds, exchanges, extensions, no exceptions.